It was a very busy 2011 for CRCG committee, which was focused upon getting key documents and policies in place for the garden, and writing lots of grant applications. 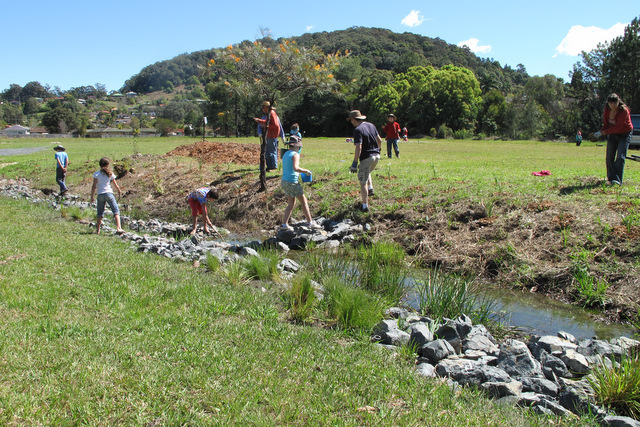 But we also managed to get our hands dirty too – installing structures and implementing projects such as the central mandala, the all important fence, initial restoration work upon of the creek line, hosting practical workshops, and giving many talks to other interested community groups. 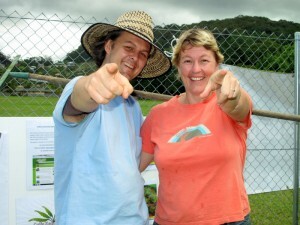 The exciting news for 2012 is that it is the year for getting our plots established. Along with putting in a shed and tanks to secure an alternative water source, the plots are the number one priority for the committee. There will be 50-60 plots available to paid CRCG members, available for rent at $60 per annum (1 Jul thru 30 Jun financial year). We plan to ‘release’ plots in lots of about 10 at a time, on a first-in best-dressed basis. We know that some of you have already expressed an interest in a renting a plot, but now is the time to put your hand up officially, declare your active interest, and make a payment. Committee members and the garden co-ordinator are happy to give you advice and some assistance with building your plot, but we expect plot holders to be actively involved in the construction and maintenance of their plot. 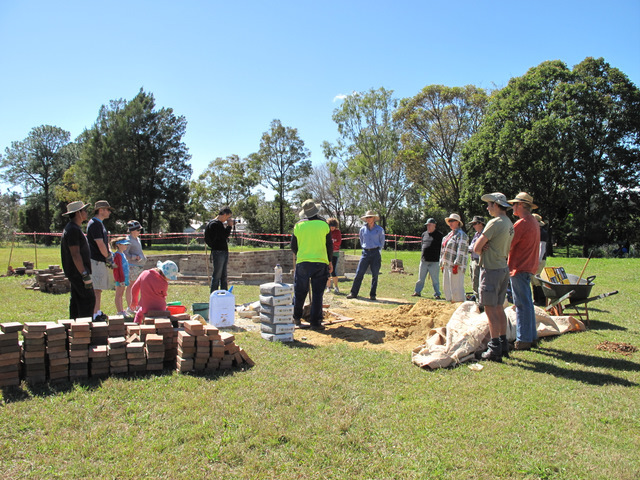 To that end, the CRCG committee invites you to attend our upcoming 2012 AGM at Cavanbah Hall, on Sat 25th Feb, between 12pm and 1.30pm. You will be able to register your interest and make payments for a plot after the meeting concludes. If you have friends who are interested in having their own plot, we encourage you to bring them to the meeting and become members of CRCG. One of the other main purposes of the AGM is to elect new committee members – we would love to have new committee members with fresh new ideas come on board. Be assured it is possible to be involved as a committee member without holding a formal office position (ie President, Treasurer, Secretary), though anyone amongst the paid membership is most welcome to nominate for these three positions. If anyone is interested in finding out more about the ins and outs of committee, the 2011 committee members will be available to talk to you before the official meeting commences, from about 11.30am onwards. 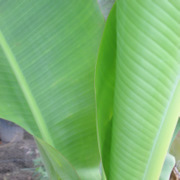 Our meetings will be much more practically focused in 2012, with ideas and issues being discussed during weekly hands-on gardening bees. Gardening bees will take place every Saturdays, from 9am to 1pm. All are welcome for as much time as you are able to comfortably contribute. Please note that our Garden Co-ordinator, Steve McGrane is also on-site during the week, from Mon-Wed 9-1pm. So if you have a spare hour or two during the week, and feel like some healthy outdoor activity, come on down to the garden and get involved in any way you can. David Wilson from CROPO will be giving his famous composting workshop at the Combine Street Community Garden. Learn how to make beautiful fresh organic compost and avoid the pitfalls. You can use these techniques in your own backyard and give your garden an extra boost. If you have ever had a compost pile that went wrong then this workshop is for you. This workshop is free to all Community Garden members. If you aren’t a member yet you can sign up on the day. 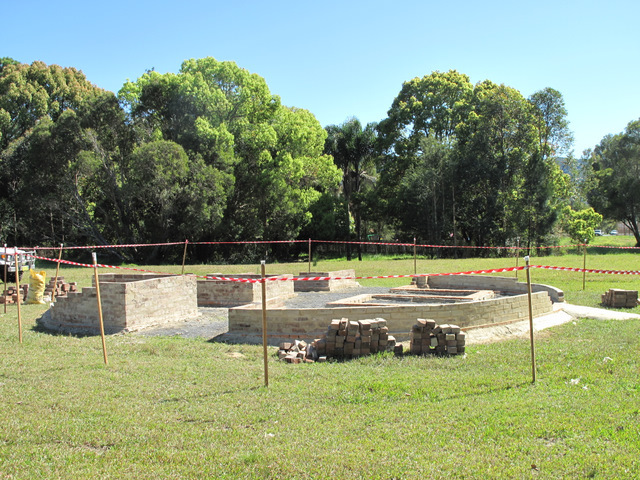 The workshop will be followed by a tour of the garden to show you how much we have achieved so far. What to bring: Hat, sunscreen, organic materials for composting. 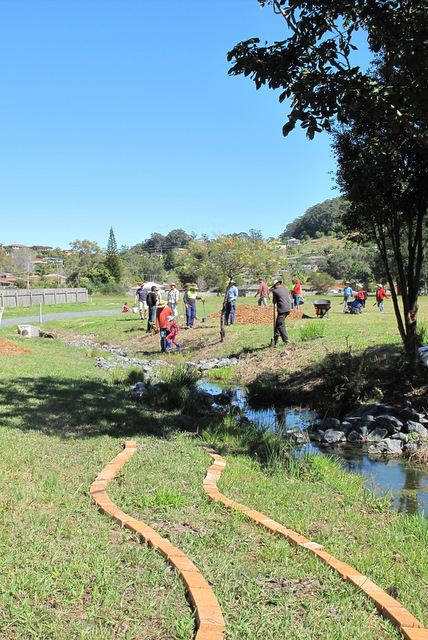 The Coffs Community Garden at the Combine Street Reserve is open for business and calling for creative and skilled members to help grow our garden. 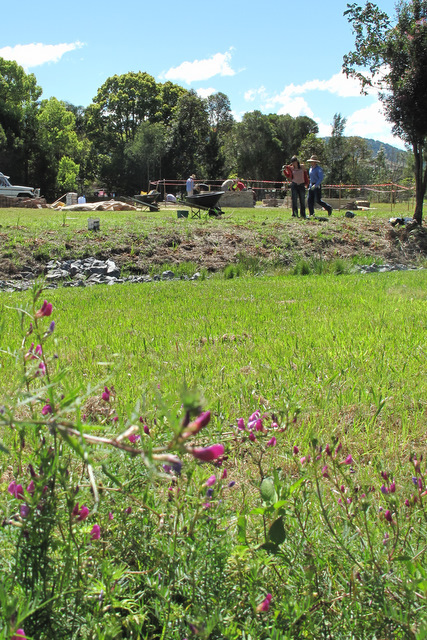 There has been tremendous public interest in the beautiful mandala garden and wetlands being constructed on the community garden site. 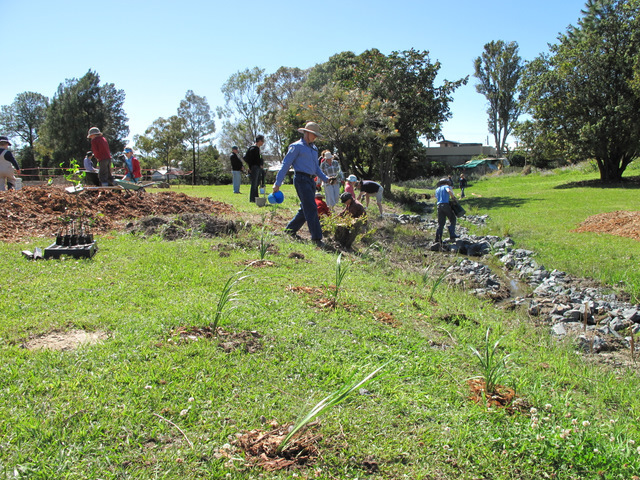 Active participants are now needed to assist with other tasks in the garden. As a garden member you can meet like-minded people, increase your gardening skills and grow fresh, organic produce on site. 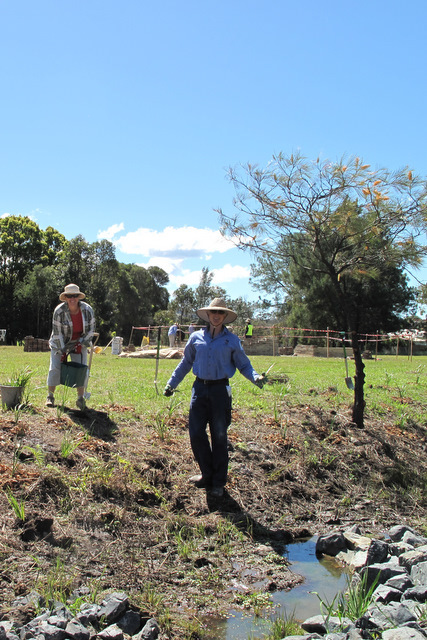 You will also be part of Australia’s growing sustainable gardening movement. 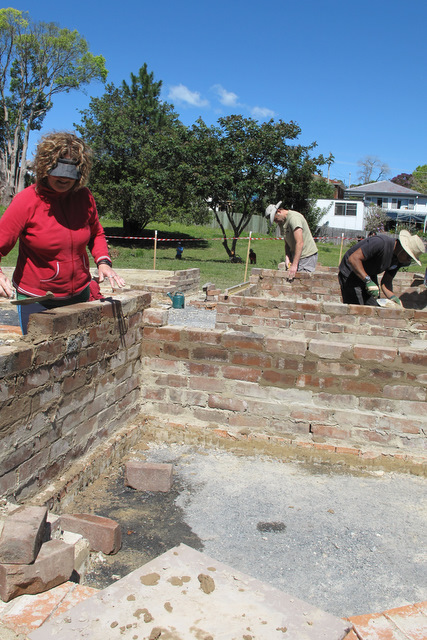 The Coffs Community Garden committee wants to hear from enthusiastic, community-minded people with experience in the following areas: bricklaying, carpentry, landscape design, administration, media, promotion and web design/maintenance. Artists and creative people are also invited to bring their inspiration to the garden. 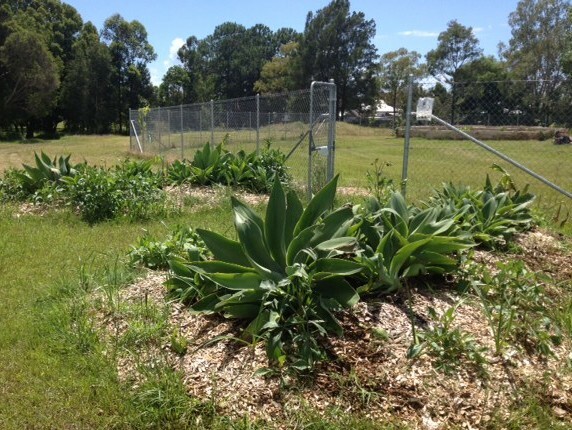 The community garden is a project of the Local Food Alliance with support from the NSW Environmental Trust. We look forward to your involvement to help make this garden grow. 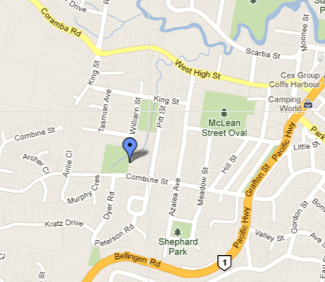 Call Adam Curlis on 0424 989 979 or Juliet Thomas on 0408 979 117. 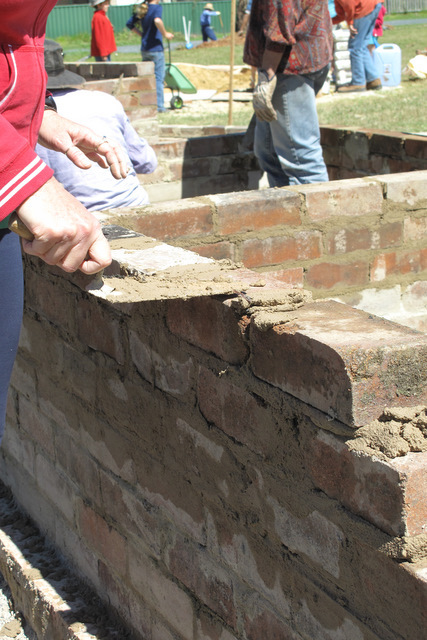 Bricklaying: learning the tricks of the trade from a professional brickie... thanks Ashley! Even the kids joined the team ! All in all, it was a great day and a very successful workshop... thanks everyone !